The PX Series printers are rugged, metal, high-performance printers designed to excel in demanding environments and support round-the-clock operations. The open, modular design ensures the printers are easy to adapt, maintain and service. The PX Series includes the PX4i and PX6i, each featuring a maximum print width of 4 or 6 inches respectively. Designed for easy integration into manufacturing environments, the PX series printers can be mounted in virtually any position. 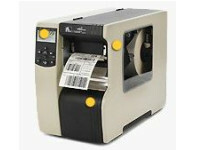 The versatile form factor facilitates the addition of add-ons such as an automatic label applicator. The PX series printers can operate as stand alone devices executing user-defined programs thereby eliminating the need for a PC. With up to seven wired and wireless connectivity interfaces, these printers can operate production line machinery, including scanners, scales, other printers and conveyor as well as access information directly from the network host. Fully programmable and able to change with the application, the PX Series printers provide additional functionality and continued investment protection. 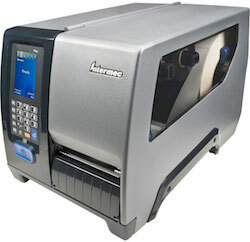 They are not restricted by printer command languages and can communicate with and replace competitive and older Intermec printers without any changes to host programming or label format design. 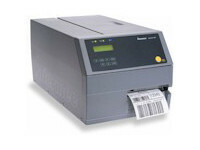 The PX series printers print instantly from first to last label at up to 12 inches per second. Both versions are available with 203 or 300-dpi resolution print heads. The PX4i also offers 400-dpi resolution without any loss of speed. 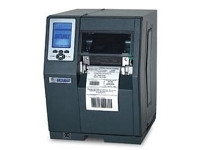 This is ideal for on demand and compliance labeling applications with variable data requiring immediate results. 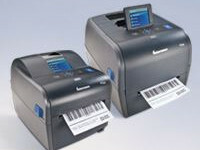 The PX series printers are the first bar code label printer to integrate Intermec’s Readiness Indicator (IRI) light. Part of the Intermec SmartSystem™, this light provides a visual cue to the operating state of the printer. The PX series printers communicates with the SmartSystem Console which displays status, provides access to configuration, eases installation of new printers, and assists in identifying printer consumables that require replenishment. TCP/IP-suite (TCP, UDP, ICMP, IGMP, etc. ), LPR/LPD, FTP, BOOTP, DHCP, HTTP, SNMP, SMTP.